Synopsis (from Amazon): #1 New York Times bestselling author Sophie Kinsella returns with her trademark blend of sparkling wit and playful romance in this page-turning story of a wedding to remember—and a honeymoon to forget. One (or more) Sentence Summary: ABSOLUTELY LOVED IT! Sophie Kinsella did it again. I want more of Lottie......now! Just like all her other books, I hope/and can't wait for the next one. The book is told from two different views - Lottie and her older sister Fliss. There is also Ben and Lorcan to round out the story. Fliss and Lorcan are a mission to stop the marriage between Lottie and Ben. When that fails, they must stop them from consummating their vows. This leads to just one hilarious adventure after another. Favorite Character(s): Its a tie between Lottie and Fliss. They feed off each other. 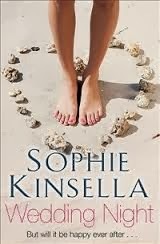 Lottie is the typical character that I love in Kinsella's books....always find herself in those usually situations. Fliss is the practical, always thinking straight character that feeds into the "usually situations" without even realizing it. Setting: England and Ikonos, but it really doesn't matter where Kinsella's story take place....they are just too funny. It is more about the crazy characters and their mishaps, not where they take place. Fast read/slow read: Extremely fast....just my kind of book. Cover: It is okay, but I love this one. Would I Read Other Books by the Author: Would I? Is the ocean filled with sea shells? Of course I would. 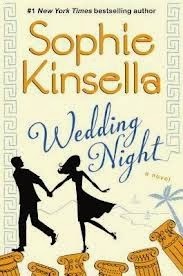 Sophie Kinsella is one of those authors that I can't wait for the next book to come out. She just doesn't write fast enough for me! 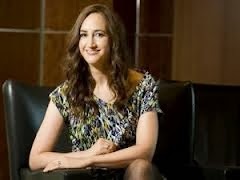 Meet the Author: Sophie Kinsella is the author of the bestselling Shopaholic series as well as the novels Can You Keep a Secret?, The Undomestic Goddess, Remember Me?, Twenties Girl, I've Got Your Number, and Wedding Night. She lives in England.